Hewlett Packard - 218232-B21 218232-B21 HP MSA Fabric Switch Embedded San Array 6 Port 2Gb s Fibre Channel Module. New Bulk Pack. 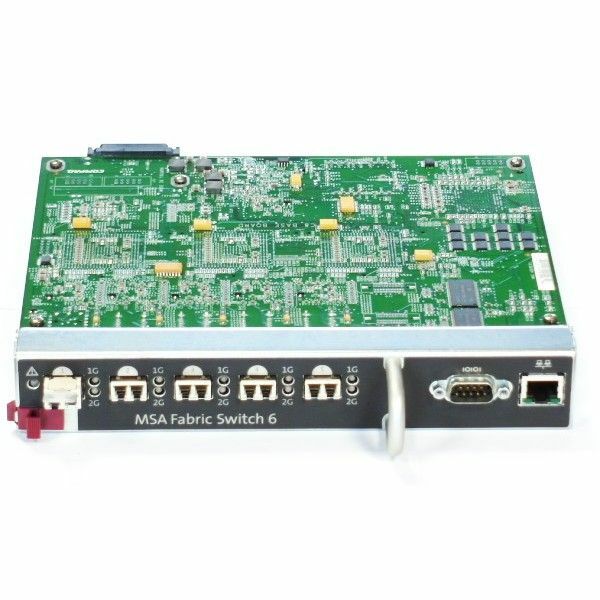 Hewlett Packard - 3R-A2970-AA 3R-A2970-AA HP 6 Port San Fabric Switch MSA1000 FC Module. New Bulk Pack. Hewlett Packard - 229967-001 229967-001 HP MSA1000 Fabric Embedded Switch 6 Port Module. New Bulk Pack. Hewlett Packard - 218681-001 218681-001 HP 6 Port SAN Fabric Switch For MSA1000. New Bulk Pack. Hewlett Packard - J9093A J9093A HP Procurve Switch 8200zl Fabric Module. New Bulk Pack. Hewlett Packard - J9093-61001 J9093-61001 HP-Procurve Switch 8200zl Fabric Module. New Bulk Pack. Cisco - DS-C9134-K9 DS-C9134-K9 Cisco MDS 9134 Multilayer Fabric Fibre Channel Switch 24 Ports 4.24GBps. New Factory Sealed. Cisco - N2K-C2248TP-1GE N2K-C2248TP-1GE Cisco Nexus 2248TF Gigabit Ethernet Fabric Extender Switch. New Bulk Pack. 3COM - 3C17539 3C17539 3COM Switch 8800 720GBps Fabric Module Switch L3 Managed. New Bulk Pack. IBM - 49Y4270 49Y4270 IBM Corporation Flex System Fabric EN4093 10GB Scalable Switch. New Retail Factory Sealed With Manufacturer Warranty. 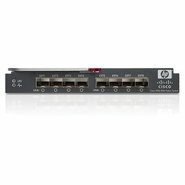 Hewlett Packard - A7534A A7534A HP Brocade 4GB San Full Fabric Switch. New Retail Factory Sealed With Full Manufacturer Warranty. Compaq - 3R-A2970-AA COMPAQ MSA FABRIC SWITCH 6 PN:218681-001. 6portS.SAME AS 229967-001 3R-A2970-AA. 218232-B21. IBM - 49Y4273 49Y4273 IBM Flex System Fabric EN4093 10GB Scalable Switch. New Bulk Pack. IBM - 49Y4272 49Y4272 IBM Flex System 10GB Scalable Fabric Switch For System X. New Bulk Pack. 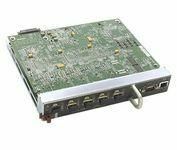 Hewlett Packard - AG641A HP/COMPAQ - CISCO MDS 9124E 12PORT FABRIC SWITCH (AG641A). NEW BULK. IN STOCK. SHIP SAME DAY. Cisco - CON-SNT-ME4.6KXC CON-SNT-ME4.6KXC Cisco SMARTNET 8X5XNBD ME4600 XCO 160Gbps Switch Fabric Card with 2 x 10GE I-Temp. New Factory Sealed. 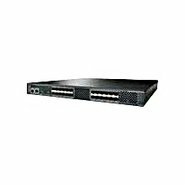 Hewlett Packard - 492291-001 492291-001 HP Storageworks 8 8 8 Full Fabric Ports Enabled SAN Switch. New Bulk Pack. Cisco - WS-SUP720-3BXL WS-SUP720-3BXL Cisco 7600 Series Supervisor Engine 720 Fabric Multilayer Switch Feature Card 3 (MSFC3) And Policy Feature Card 3BXL. New Factory Sealed. Qlogic - SB5802V-08A8 SB5802V-08A8 Qlogic 5802V Dual Power Supply Fibre Channel Switch Sanbox 8port 8GB FC Full Fabric Switch 5802V 8 Sfp 8 Ports 8GBps. New Bulk Pack. Hewlett Packard - 411841-001 411841-001 HP 4 16 SAN Switch Features S240e Full Fabric Advanced Performance Monitor Trunking And Fabric Watch. New Bulk Pack. IBM - 95Y3309 95Y3309 IBM - Flex System Fabric En4093r 10GB Scalable Switch - Switch - 24 Ports - Managed - Plug-In Module. New Bulk Pack. IBM - 95Y3312 95Y3312 IBM Flex System Fabric EN4093R 10GB Scalable Switch. New Retail Factory Sealed With Full Manufacturer Warranty. Cisco - DS-X9710-FAB1 DS-X9710-FAB1 Cisco MDS 9710 Crossbar Switching Fabric1 Module. New Bulk Pack. Hewlett Packard - 444573-001 444573-001 HP Cisco Mds 9124e 24port Fabric Switch. New Bulk Pack. Hewlett Packard - AM867C AM867C HP - 8 8 (8) Full Fabric Ports Enabled San Switch. New Bulk Pack. 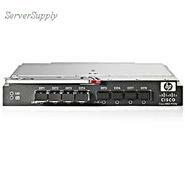 Hewlett Packard - AG647-63001 AG647-63001 HP MDS 9124 Fabric Switch 4GB Fibre Channel. New Bulk Pack. 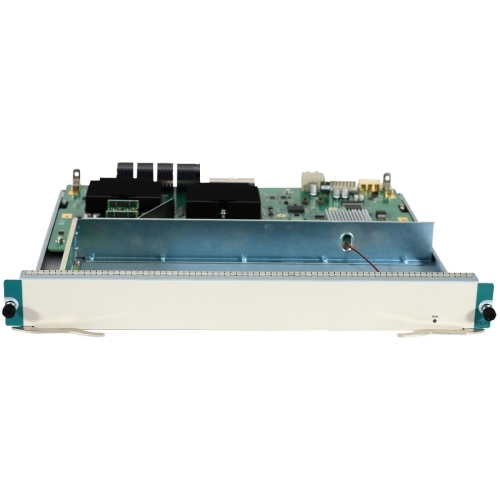 Cisco - A9K-RSP-4G A9K-RSP-4G Cisco ASR9K Route Switch Processor w 4G memory and Switch Fabric. New Factory Sealed. Hewlett Packard - J9475A HP/COMPAQ - PROCURVE 8206ZL SWITCH CHASSIS - 2 X MANAGEMENT MODULE 2 X SWITCH FABRIC MODULE 1 X SYSTEM SUPPORT MODULE 6 X EXPANSION SLOT (J9475A). NEW RETAIL FACTORY SEALED. IN STOCK. SHIP SAME DAY. 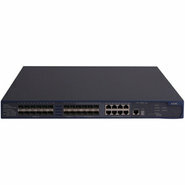 Hewlett Packard - AM868B AM868B HP 8 24 Base Full Fabric Ports Enabled SAN Switch. New Bulk Pack. Cisco - DS-C9148-16P-K9 DS-C9148-16P-K9 Cisco MDS 9148 Multilayer Fabric Switch - 16 8Gb Fibre Channel Ports. New Bulk Pack. Hewlett Packard - 442025-001 442025-001 HP Cisco MDS 9124 Fabric Switch - 24 Ports. New Bulk Pack. Cisco - RSP720-3C-GE RSP720-3C-GE Cisco 7600 Route Switch Processor 720Gbps fabric. New Factory Sealed. Hewlett Packard - AW563A AW563A HP MDS 8 12C Fabric Switch - Switch - 8 X 8GB Fibre Channel (Backplane) + 2 X 8GB Fibre Channel + 2 X Sfp+ - Plug-In Module. New Retail Factory Sealed With Full Manufacturer Warranty. Hewlett Packard - JG896A JG896A HP FlexFabric 5700 40-Ports 10 Gigabit Ethernet SFP+ Layer 3 Managed Switch with 2x 40 Gigabit QSFP+ Ports. New Bulk Pack. Hewlett Packard - 492294-001 492294-001 HP 8 40 Power Pack+ (24) Full Fabric Ports Enabled San Switch. New Bulk Pack. Hewlett Packard - AM872A AM872A HP 8 80 Power Pack Full Fabric Ports Enabled San Switch. New Bulk Pack. Hewlett Packard - JH396A JH396A HP FlexFabric 5940 32QSFP+ Switch - 32 Expansion Slot - Manageable - Optical Fiber - Modular - 3 Layer Supported. New Retail Factory Sealed With Full Manufacturer Warranty. 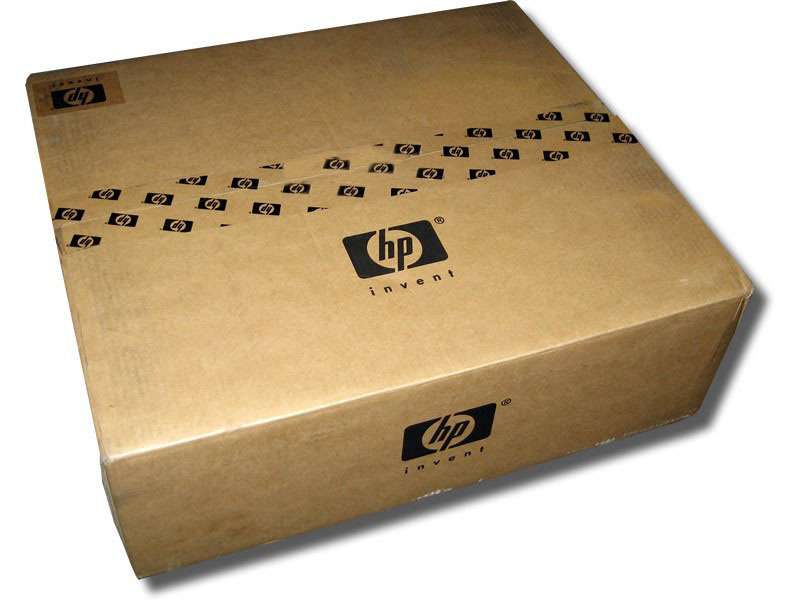 Hewlett Packard - 489864-001 HP/COMPAQ - NEW RETAIL FACTORY SEALED. BROCADE 8/12C SAN SWITCH - 8GB 12 PORT FULL FABRIC SWITCH - FOR HP BLADESYSTEM C-CLASS ENCLOSURES (489864-001). IN STOCK. SHIP SAME DAY. 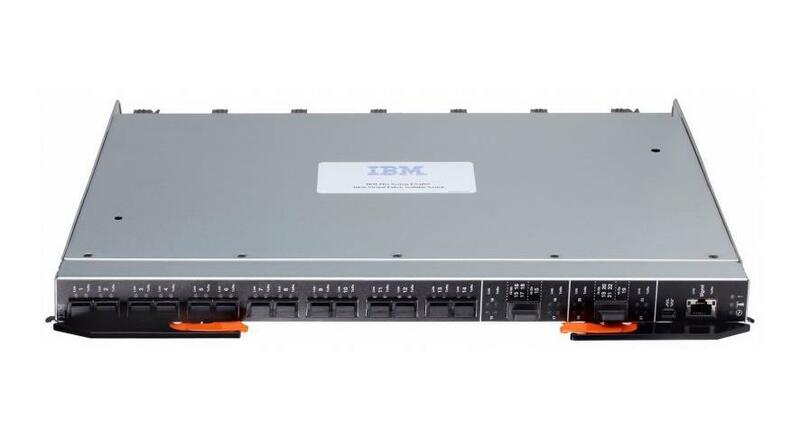 IBM - 43W6725 IBM - QLOGIC SAN FABRIC SWITCH - 20 PORTS - 4.24GBPS (43W6725). NEW FACTORY SEALED. IN STOCK. SHIP SAME DAY. Hewlett Packard - 444573-001 HP/COMPAQ - CISCO MDS 9124E FABRIC SWITCH - SWITCH - 24 X 4GB FIBRE CHANNEL + 4 X SFP - PLUG-IN MODULE (444573-001). IN STOCK. SHIP SAME DAY. Cisco - WS-X6748-GE-TX CISCO - (WS-X6748-GE-TX) CATALYST 6500 EN 10/100/1000MBPS 48PORTS SWITCH MODULE FABRIC ENABLED RJ-45. NEW FACTORY SEALED.IN STOCK.SHIP SAME DAY. Cisco - RSP720-3CXL-GE RSP720-3CXL-GE Cisco 7600 Route Switch Processor 72Gbps FabricPFC3CXLGE. New Factory Sealed. Hewlett Packard - AM867B AM867B HP 8 8-8 Full Fabric Ports Enabled San Switch. New Retail Factory Sealed With Full Manufacturer Warranty. 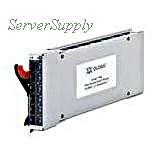 IBM - 90Y9392 90Y9392 IBM Blade Network Virtual Fabric 10GB Switch Module For Bladecenter. New Bulk Pack. IBM - 46C7194 46C7194 IBM BNT 10GB 10-Port Virtual Fabric Switch Module. New Bulk Pack. Hewlett Packard - AM867A AM867A HP StorageWorks 8 8 (8) Full Fabric Ports Enabled San Switch. New Retail Factory Sealed With Full Manufacturer Warranty. IBM - 95Y3311 95Y3311 IBM Flex System Fabric EN4093R 10GB Scalable Switch. New Bulk Pack. Cisco - RSP720-3C-10GE RSP720-3C-10GE Cisco 7600 Route Switch Processor 720Gbps fabric PFC3C 10GE. New Factory Sealed. Cisco - UCS-SP8-B-FI96 UCS-SP8-B-FI96 Cisco UCS 6296UP Fabric Interconnect Managed Switch - 18 10-Gigabit FCoE SFP+ Ports. New Factory Sealed. Hewlett Packard - AW564A HP/COMPAQ - NEW. MDS 8/24C FABRIC SWITCH - SWITCH - 16 X 8GB FIBRE CHANNEL (BACKPLANE) + 4 X 8GB FIBRE CHANNEL + 4 X SFP+ - PLUG-IN MODULE (AW564A). IN STOCK.SHIP SAME DAY. Hewlett Packard - AG648A HP/COMPAQ - CISCO MDS 9124 FABRIC SWITCH - 24 PORTS (AG648A). NEW BULK. IN STOCK. SHIP SAME DAY. Hewlett Packard - 610679-001 610679-001 HP MDS 8 24c Fabric Switch 16 X 8GB Channel 4 X 8GB 4 X SFP Plug-In Module. New Bulk Pack. 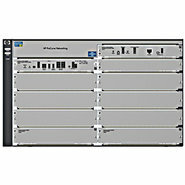 Hewlett Packard - AW564A AW564A HP Mds 824C Bladesystem Fabric Switch- 24 Ports. New Bulk Pack. 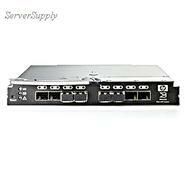 Hewlett Packard - JH394A JH394A HP FlexFabric 5940 48-Ports XGT 6qsfp+ Managed Switch. New Bulk Pack. Cisco - N9K-C9508-FM N9K-C9508-FM Cisco Nexus 9500 Platform Fabric Module Switch for Nexus 9508. New Factory Sealed. Lenovo - 00FM514 00FM514 Lenovo 24 Ports Flex System Fabric En4093r 10gb Scalable Switch. New Bulk Pack. Hewlett Packard - JG365A JG365A HP HSR6808 SFE-X1 Switch Fabric Engine Router Module. New Bulk Pack. Hewlett Packard - 779224-B23 779224-B23 HP Synergy 40Gb F8 Switch Module - For Switching FabricOptical Fiber40 Gigabit Ethernet - 40GBase-SR4 40GBase-LR46 x Expansion Slots - QSFP+. New Bulk Pack. Hewlett Packard - JG619A JG619A HP FlexFabric 12910 Switch AC Chassis. New Retail Factory Sealed With Full Manufacturer Warranty. Cisco - UCS-FI-6296UP UCS-FI-6296UP Cisco UCS 6296UP Fabric Interconnect Managed Switch - 18 10-Gigabit FCoE SFP+ Ports. New Factory Sealed. Cisco - UCS-FI-6296UP-CH2 UCS-FI-6296UP-CH2 Cisco UCS 6296UP Fabric Interconnect Managed Switch - 18 1 10 Gigabit 8GB Fiber Channel FCoE SFP+ Ports. New Factory Sealed. Hewlett Packard - JH209A JH209A HP 7500 2.4Tbps Fabric 8-Ports 10Gbps SFP+ Switch with 2x 40Gbps QSFP+ Ports. New Retail Factory Sealed With Full Manufacturer Warranty. Cisco - N7K-C7009-B2S2 N7K-C7009-B2S2 Cisco Nexus 7009 Bundle-Switch-L3-managed-rack-mountable-with Cisco Nexus 7000 Series Supervisor 2 Module 5x Cisco Nexus 7000 Series Fabric-2 Module. New Factory Sealed. Cisco - N5548UP-4N2248TR N5548UP-4N2248TR Cisco Nexus 5548UP - Switch - managed - 48 x SFP+ - rack-mountable - with 4x Cisco Nexus 2248TP GE Fabric Extender 20x 10G SFP module (10G-SR). New Factory Sealed. 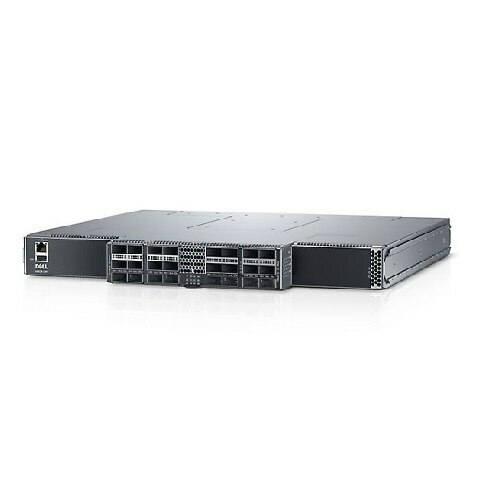 Cisco - N5596UP-6N2248TF N5596UP-6N2248TF Cisco Nexus 5596UP - Switch - managed - 48 x SFP+ - rack-mountable - with 6x Cisco Nexus 2248TP GE Fabric Extender 48x 10G SFP+ module (FET-10G). New Factory Sealed. Cisco - N5596UP-6N2248TR N5596UP-6N2248TR Cisco Nexus 5596UP - Switch - managed - 48 x SFP+ - rack-mountable - with 6x Cisco Nexus 2248TP GE Fabric Extender 30x Cisco 10GBASE-SR SFP+ Module (SFP-10G-SR). New Factory Sealed. Cisco - N7K-C7009-B2S2E-R N7K-C7009-B2S2E-R Cisco Nexus 7009 Bundle-Switch-L3-managed-rack-mountable-with Cisco Nexus 7000 Series Supervisor 2 Module 5x Cisco Nexus 7000 Series Fabric-2 Module. New Factory Sealed.